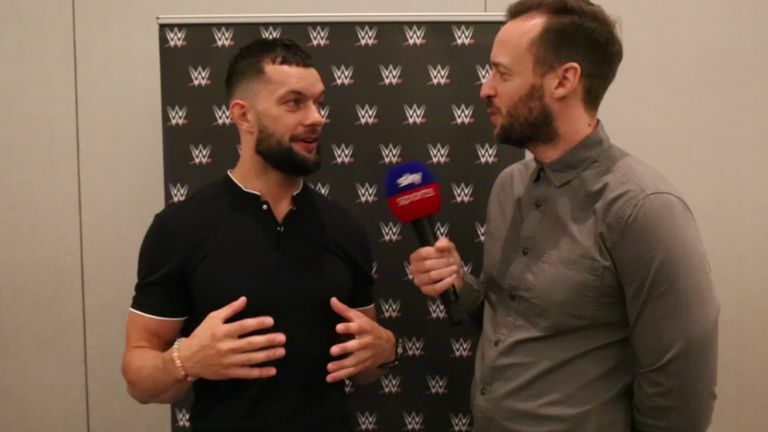 Finn Balor has described Roman Reigns as 'one of the true greats' and feels fan criticism of him is undeserved. Reigns faces WWE Universal champion Brock Lesnar in the main event of SummerSlam on Sunday evening, live on Sky Sports Box Office at midnight. He goes into that match on the back of a resounding endorsement from Balor, who thinks Reigns does not get enough credit for his all-round contribution to the business. "I don't get it," he told Sky Sports. "He's probably one of the hardest working people in WWE, he looks great, he's professional, a great talker and behind everything, a great person. "He's great behind the scenes, he will help you with anything you want and he's always polite. He was great to me when I first came into WWE and he continues to help me today. "I can't speak of anything but greatness for Roman Reigns, he's one of the all-time greats." Reigns is likely to receive a mixed reaction from the Brooklyn crown tonight, and Balor finds that hard to fathom because his Shield faction was one of the most popular acts in modern WWE. "I think it's monkey do as monkey see and people are easily led," he said. "They might read what one person has written in a newsletter, decide that person's right, and then jump on the bandwagon. Book WWE SummerSlam on Sky Box Office! "That's what's happened with Roman. People are very fickle - I remember when The Shield were doing their thing and everyone was behind Roman; he was the coolest guy in The Shield. "Opinions change in this business and they forget the past but Roman ain't sweating it."